As summer approaches, people across Australia have begun to wonder what they can do differently this year to keep the bugs out. For many of us, especially those that appear to have exceptionally mosquito-friendly blood, the threat of bug bombardment is a very real concern. Poisons and quick fixes can help to prevent a portion of these problems, however, the improper use of these solutions can lead to issues for pet owners and parents alike. Luckily, extermination services such as Dawson’s Pest use only child and animal safe methods to protect homes while not using any excessive amounts of product, only what is required to complete the job effectively. The added benefit of services like this is that they can prevent issues that homeowners weren’t previously aware of (finding a wasps nest while on call for a mouse infestation is an all-too frequent occurrence for pest control experts). Getting professional assistance is one thing, but for those hoping to fully prepare themselves for the summer, it’s good to get some advice in the process . Asking for some tips for how to prevent further infestations is a fantastic perk of working with professional pest control experts, who will usually be happy to let you pick their brains while they deal with the situation at hand. The benefit of gathering information from someone who is actively working within your home is that the advice you get will be specified to you in a way that’s invaluable compared to online services. With that said, for more general tips on a myriad of possible pest problems, looking up preventative information is a great way to prepare yourself for issues that may arise further down the line. Having stacks of wood, branches or building material close to your home can be a welcome mat for termites , which can cause a great deal of structural damage when left untreated. Ensuring that materials such as these are kept at a safe distance is an excellent preventative measure against these infuriating insects. Allowing for fresh air to pass through your home on those hot summer days can become a necessity as the temperature begins to rise. Making sure that your flywire is patched up and free from unintentional entrances is the ideal way to maintain that welcome breeze without the fear of flies and mosquitos finding their way into your living areas. An improperly sealed source of sugar can draw it a variety of hungry home invaders, not to mention wreak havoc in your pantry. This can be easily alleviated by making sure that there are no additional entries into these areas such as holes or sizeable cracks. For added protection, ensure that all of your edible items are properly packed away, as while prevention may seem tedious, it will take much less time, effort and money than the remedy. 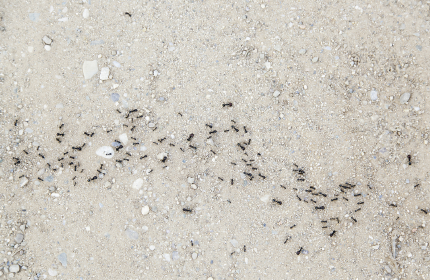 Keeping your home clear of intruding insects and pests can be troublesome in the heat, especially since Australia has such a wide variety of critters looking for a way in. However, with some diligence, and the right help , you won’t have to spend this summer swatting at the air. 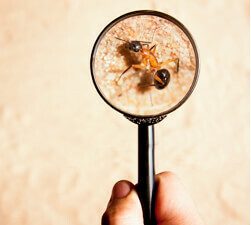 For a quick quote, get in touch with the pest control professionals on 9222 2266.